Do you have an outdoor fireplace in Pittsburgh? Are you considering having one installed on your property? If so, our team can help. An outdoor fireplace is the perfect place to kick back and relax. Whether you have a beautiful landscaped backyard, or a small slice of property you want to enhance, an outdoor fireplace can create the ideal entertainment area. Our team specializes in brick and masonry contracting and easily come up with a design for your space. Regardless of the type of outdoor fireplace in Pittsburgh you’re thinking about installing, we have the skills to get the job done. We also know what type of materials to use. Given the climate of Pittsburgh, it is essential that the brick used can withstand extreme dips in temperature. 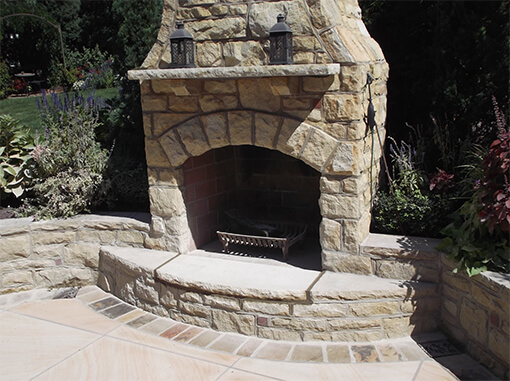 We make sure to use only the finest brick and lay it with the best sealants to ensure a long-living outdoor fireplace. Our goal is to make your fireplace last for decades, and by using the best materials we make that goal a reality. Should you need an outdoor fireplace in Pittsburgh, give us a call. We can walk you through the design process and create a beautiful outdoor space you’ll enjoy for years to come.